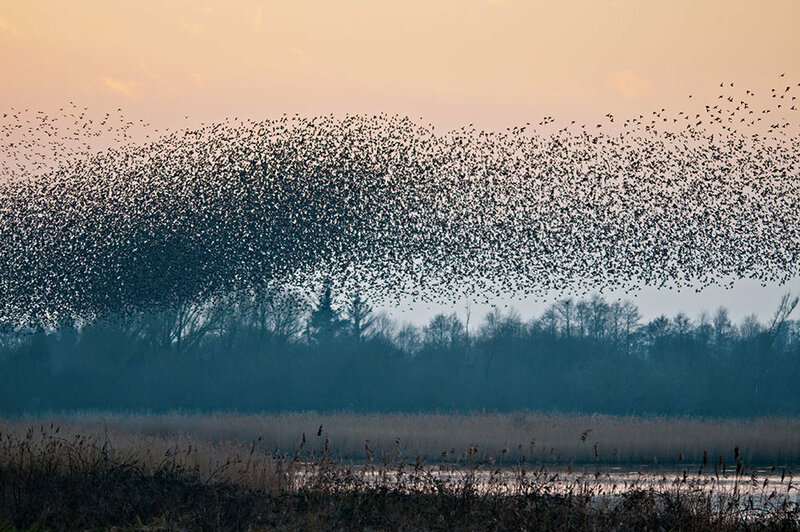 To see half a million of anything is breathtaking – but to see up to half a million Starlings fly in their liquid murmuration is truly a sight to behold. 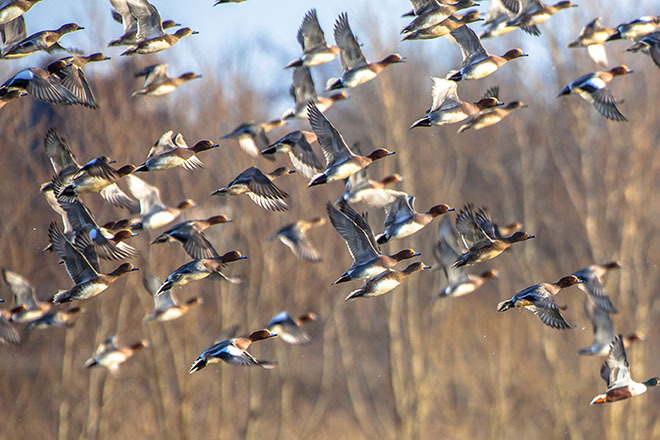 If the conditions are right, the skies can darken as first one group arrives to roost in the reed beds of Ham Wall – then another larger one arrives, then another then another. They just keep coming. It is simply bewildering. What we want is a belligerent passing Peregrine or a hungry Marsh Harrier with attitude – then Bingo! 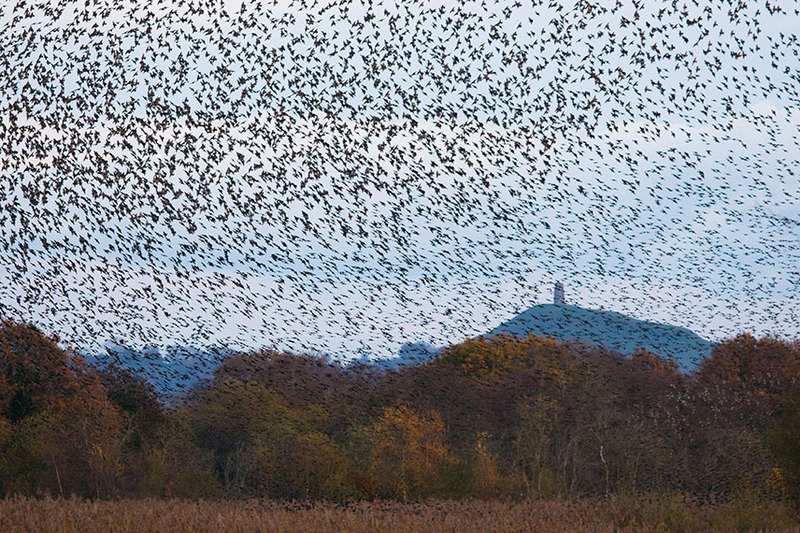 The sky is full of the largest flock/swarm/shoal/plague of birds you have ever seen – turning one way then the next. 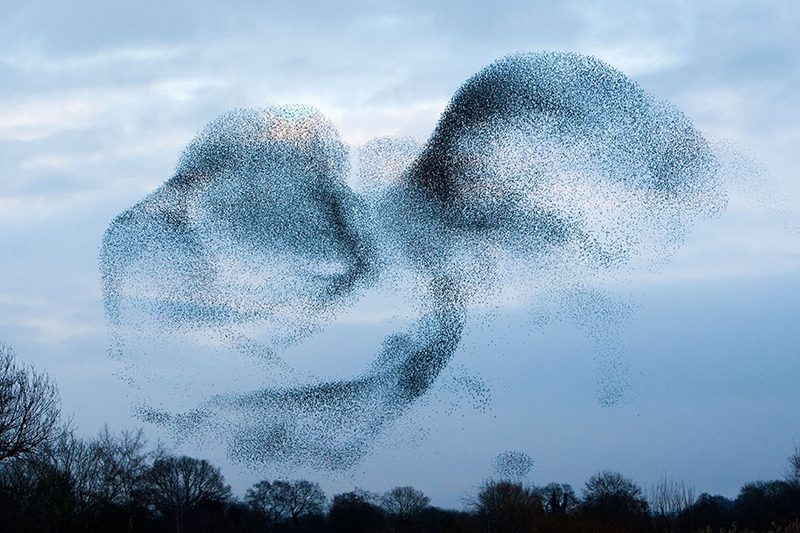 Somerset’s murmurations of starlings on a crisp winter dusk is the stuff of legend, and has to be seen to be believed. Arrive Walls Farm by 2.00pm settle in to your comfortable cottage accommodation. After a cup of tea we will head off for an afternoon visit to RSPB’s reserve Ham Wall to hopefully view the spectacular display of up to one million starlings in a murmuration prior to their roost in the reed beds. This is truly one of nature’s most spectacular aerobatic displays, and if a passing Peregrine or Marsh Harrier shows up it gets even more tasty. In the evening a Welcome Dinner will be served in Walls Farm in the evening with your hosts Stephen, Graeme and Kay Mitchell to brief you about our planned birdwatching excursions. 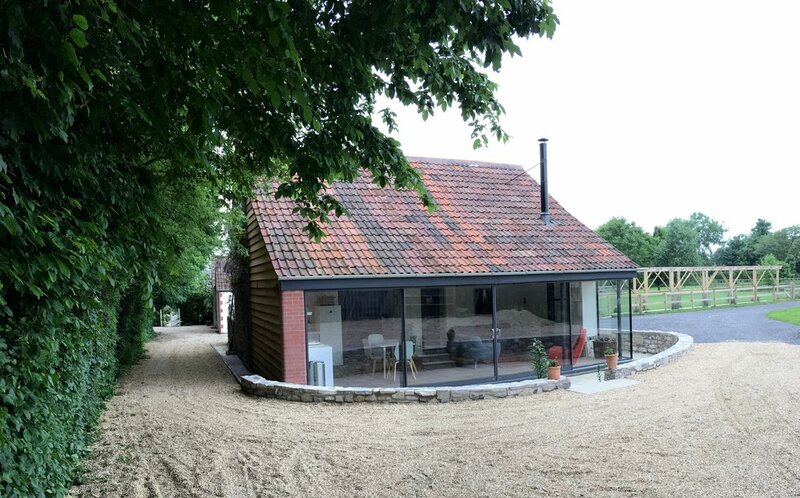 Breakfast is in your cottage – fresh eggs, cereal, yoghurts, bread, muesli homemade preserves all provided in your accommodation for you to prepare. Morning visit Steart Marshes near Bridgwater. This is a wonderful site with good hides, good birds and good loos. Many thousands of lapwing and golden plover overwinter here along with many differing duck species. A good place too for spotting peregrine and merlin. We will continue to the coast at Wall Common to look for curlew, dunlin and other shore birds. We will return inland to West Sedgemoor to look for our Somerset Cranes. While they are jolly big birds they can prove very elusive in this vast landscape - but we’ll give it a go. Light pub lunch will be included. A quick stop at RSPB Greylake is always good in winter with thousands of ducks close up to the hide with many snipe and often godwits to be seen. Depending on our success the previous evening at Ham Wall we may return if conditions are better or alternatively visit one of the other bird reserves on the Levels. Return to Walls Farm by about 5.30pm. The evening will be a relaxed affair with an informal supper and good conversation about birding adventures past, present and future . Morning visit Cheddar Reservoir for ducks such as Goldeneye, Goosander, Pochard and a huge number of over-wintering Coots. We then may visit Cheddar Gorge itself for dipper, grey wagtail and a nice drop of cheese before a quick visit to a local wood (time permitting).